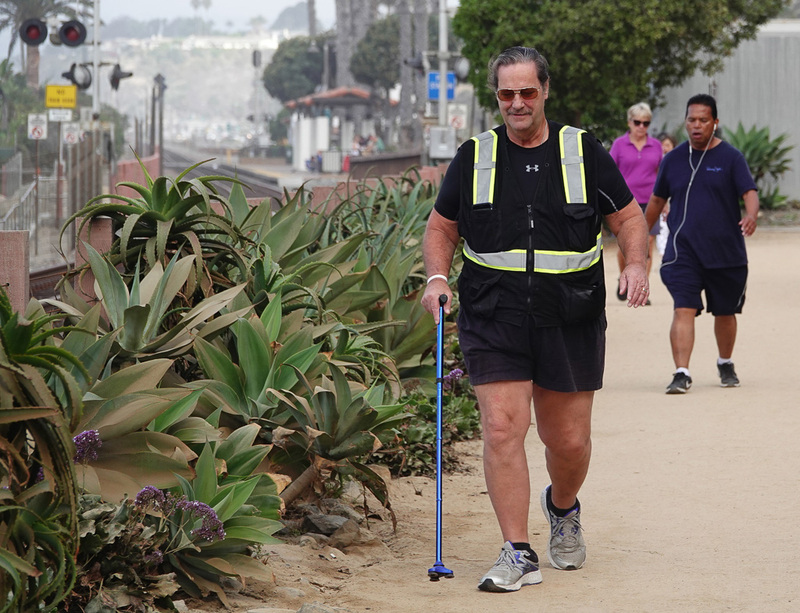 Who would think a 59-year-old stroke survivor weighing 300 pounds could walk across America? Mycle Brandy, who has survived not one but four strokes, loves challenges. Almost as much as he loves changing lives. 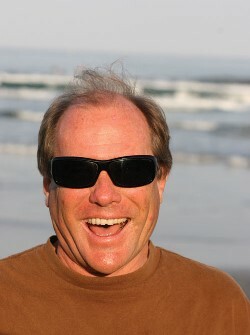 After walking 2,940 miles across America in 2010, he walked from San Diego to Seattle, 1,450 miles up the West Coast. Then he walked 2,100 miles from Maine to Miami, down the East Coast. All of this to inspire stroke patients. This week, the San Clemente resident is again lacing up his size-15 shoes. The retired glazer, now 67, left town Sept. 12 to explore a different cross-country route, once again intent on negotiating every step with his cane. As before, he plans to visit hospitals, meet with patients and assure them that there can be plenty of life after a stroke. He will do TV and radio interviews, imploring stroke victims to get off the couch. Thousands have followed Brandy’s walks on Facebook. Fans, many of them stroke survivors, have traveled to meet him along the routes. During Maine to Miami, Brandy addressed an audience of 400 in Groton, Connecticut. In Florida, a woman who had followed him on Facebook met him on the road to walk 100 steps with him. At Washington, D.C., a stroke survivor from Delaware climbed the steps of the Lincoln Memorial, assisted by a son and a caregiver, to stand beside Brandy triumphantly at the top. In Miami, fans walked the last four miles with him, including a stroke survivor who drove from South Carolina to do it. Brandy gave her a hug as he ended his walk on his 62nd birthday, striding into City Hall to accept a commendation from Miami’s mayor. It now sits alongside a congratulatory letter Brandy received from President Obama after the first trek, which had begun with a toe-dip on the shores of Upper Newport Bay and ended with a toe-dip into the Potomac River at Washington, D.C. Brandy now is set on completing a fourth walk, from Rockaway Beach, Oregon, to Rockaway Beach, New York. He sets out knowing there are risks as well as rewards. As a result of his strokes, Brandy is vulnerable to rare momentary electrical outages on his right side that can cause his leg to fail. Often the cane can avert falls, but he has collapsed more than three dozen times during his treks. On a road with no shoulder, that could prove fatal. One time, it left him lying on a lonely stretch of pavement in New Mexico. Luckily, there was no traffic as he struggled to rise. Rewards? In Missouri, a mother inspired by Brandy’s example drove 140 miles to pick him up and take him to meet her 6-year-old, who deals with a stroke suffered in the womb. Then she drove him back to his route to resume his walk. For the 2018 trek, Brandy is starting out a bit lighter, at 280 pounds, hoping to be down to 250 and reach the Atlantic Ocean five months from now. He is doubly resolute, since he actually tried to walk across America in 2014 and again in 2017. He had to abort both journeys, no fault of his own. Just days into the 2014 walk, he had to stop when a friend who had volunteered to drive a support vehicle had to return home to a family emergency. Then in 2017, Brandy walked more than 900 miles from the Oregon coast to Opal, Wyoming, unable to continue when his support driver fell seriously ill, had to return home and died. Brandy is dedicating his 2018 effort to those who helped before. 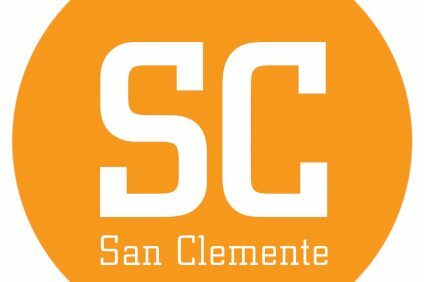 He has trained on the streets and trails of San Clemente, enlisted a new support driver and launched a funding website. He figures to start Sept. 15 at Opal, where he’d left off in 2017. Sharon Tapp, a friend from 40 years ago, is his volunteer driver. Tapp, 66, of Alma, Arkansas, said she is eager to promote Brandy’s message of hope, not just to stroke patients but to people dealing with brain trauma. She said her husband, injured in a severe work accident, can relate. She will monitor Brandy’s daily walks, pull ahead of him to stop and wait for him so he can rest and drink water. Sometimes she will walk back to him on the road and accompany him to the support vehicle. At day’s end they will drive to a campground or other overnight place. Each morning, they will resume from the spot reached the previous day. The pair will host visits from news reporters and drive to hospitals and to speaking engagements including Kiwanis Clubs, American Legions, VFWs and VA hospitals, offering encouragement to wounded warriors with brain injuries. Brandy’s wife Louise, who works and has supported all of his walks, plans to meet with him at intervals and hopes to watch him reach the frigid Atlantic on Feb. 14, 2019, his 68th birthday. “I expect to do at least 15 miles a day,” Brandy said. Passes through Cheyenne, Wyoming, Omaha, Nebraska, Des Moines, Iowa, Chicago, Illinois, Cleveland, Ohio, Philadelphia, Pennsylvania, and New York City, N.Y.
* In 2004, after his fourth stroke, Brandy received an invitation from the American Heart Association and American Stroke Association’s “Start Training” program to train for a marathon. * It changed his life. He proceeded to walk nine 26.2-mile marathons over the next few years, assisted by his cane, and never mind if it took seven hours or more to finish. * In 2009, he announced he would enter the 2010 Athens Classic Marathon, and oh, on his way to Greece, he would walk across America. * Plagued by cramps, he didn’t finish the Athens marathon. * He did finish the walk across America.